Juvenile, hyperactive, and awkward, the latest Spidey reboot is the worst Spider-Man film to date. Spider-Man: Homecoming may not be the worst film of the Marvel Cinematic Universe, but it is the worst Spider-Man film to date – which I guess is to be expected when you wait a mere five years between franchise reboots. It plays like a film made not just for teenagers but by them as well, given the near-constant melding of action, IMAX 3D-enhanced CGI, superhero gags, and socially-awkward humor involving all thing high school. It plays at such high energy and so rarely stops to take a breath that I found the experience not exciting, but exhausting. New characters are either underutilized or unengaging, while the old characters are given little to do apart from remind audiences that the film is just a fraction of a vast and hopelessly tangled narrative web (pun definitely intended). Taking the reins from Tobey Maguire and Andrew Garfield as the title character is Tom Holland. I don’t know if he or co-writer/director Jon Watts are more to blame in terms of development; Spider-Man, a.k.a. Peter Parker, is this time around not a superhero so much as a reckless boy with an eagerness that borders on hyperactivity. There are many times when I wanted to crawl into the screen and somehow slip him a valium. He’s so inexperienced and unwilling to learn from his mistakes that, whenever attempting to engage in superhero activity, he bungles it at a level approaching Inspector Clouseau. This isn’t all that funny to begin with, and it only gets less funny with each scene that repeats the formula. The official story of how Parker transformed into Spider-Man is that his genetic structure was altered after getting bitten by a scientifically-engineered spider. This was clearly shown in Sam Raimi’s Spider-Man and Marc Webb’s The Amazing Spider-Man; in Homecoming, the incident is only mentioned in passing, and in such a way that it comes off more as a joke. The thinking behind this, I’m assuming, is that audiences are supposed to pay more attention to Parker’s blue and red suit, which this time around isn’t mere skintight spandex but a gadget-laden technological innovation designed by none other than Tony Stark (Robert Downey, Jr.), who stays in the periphery as Parker’s mentor. This wasn’t the right approach. If Parker was mutated, by God, let us actually see him get mutated. 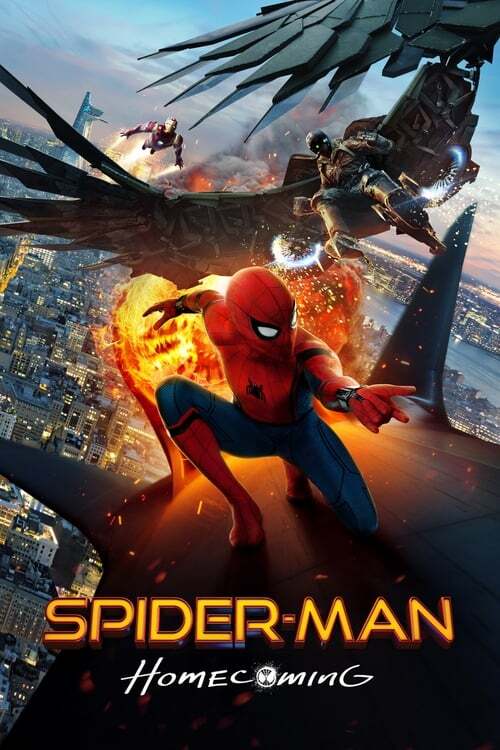 The plot involves Parker going behind the backs of Stark, his high school science decathalon team, and his aunt May (Marisa Tomei) in order to stop Adrian Toomes, a disgruntled blue-collar salvager tired of working under Stark-like billionaires (Michael Keaton), from trafficking arms fashioned from alien technology – the very technology, if you can think back this far, left behind from The Avengers’ 2012 New York City battle. Toomes used part of this technology to create for himself a suit with bird-like wings. Strange, that a comic book villain doesn’t seem very comic book. If I were in his place, I wouldn’t have a beef against The Man; I’d be a power-hungry megalomaniac hell bent on taking over the world. Helping Parker along is his best friend Ned (Jacob Batalon), one of the most annoying and poorly-developed teenage caricatures of recent memory, with the incessant talk about how awesome everything Spider-Man does is. I use the word “helping” loosely; for the most part, he coerces Parker to use his alter ego as a way to impress his crush, a pretty but curiously uninsightful girl named Liz (Lauria Harrier). Indeed, a lot of the characters are uninsightful. Topping that list is May. Perhaps it’s because the character is woefully underutilized and conveniently forgotten whenever Parker sneaks off on his self-imposed missions. The final act of Spider-Man: Homecoming provides the only scenes of any interest or entertainment. I can’t delve into specifics, as doing so would spoil a major plot point. What I can say is that this is the point at which Parker – and Watts, ostensibly – at last exhibits signs of maturity. One scene is particular, a car ride to the titular homecoming dance, is so expertly shot, acted, and paced that I was reminded of Hitchcock. Why couldn’t the rest of the film be made with that same attention to craft? Why did the vast majority of it have to be so juvenile, so wired up, so awkwardly written? For a satisfying Spider-Man experience, steer clear of this film and instead seek out Marc Webb’s The Amazing Spider-Man 2. It’s time for that criminally underrated entertainment to get the attention it deserves.